We’ve worked with many customers and understand that every application and infrastructure is unique. We can work with you to migrate or implement your workloads onto the Amazon Web Services (AWS) cloud. Below is an example of a customer with the Oracle Enterprise Performance Management - Planning Suite which required a highly scalable (when needed) application. The solution reduced the total cost of ownership (TCO) in terms of application infrastructure, servers and overall technical support. 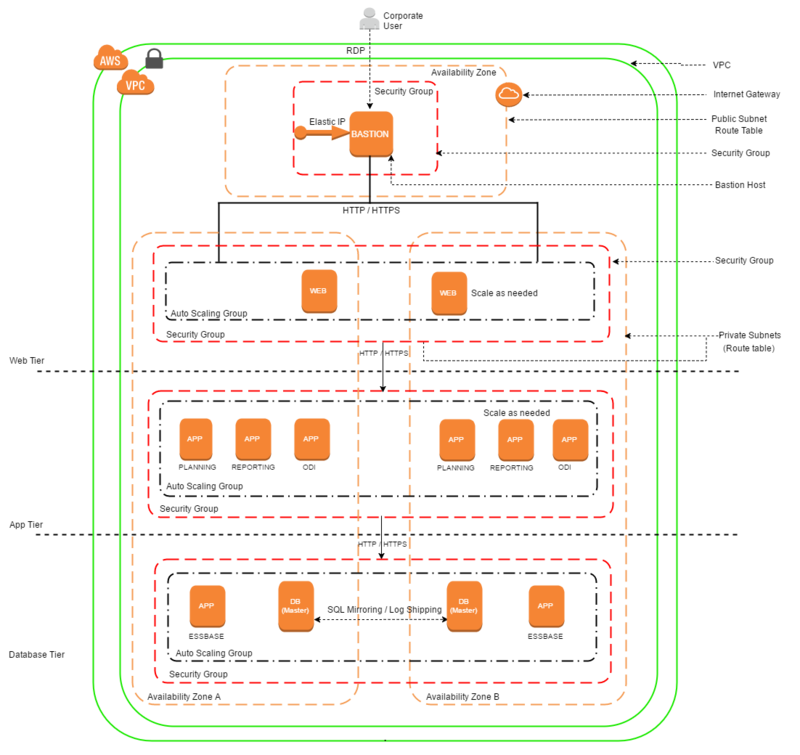 This example uses AWS services to create scalable, highly secure, highly available and cost efficient EPM environments in AWS. As seen in the architecture, the EPM environment can only be accessed via the bastion host. Additionally, a security group ensures that traffic coming from the specific servers or IP is allowed to interact. The combination of user data and auto-scaling features allow us to scale out the environment by adding additional servers when required.